Dewatering pumps from Phantom Pumps are a great alternative for organizations and fluid processing facilities that need to reduce their dewatering pump related expenses. Our dewatering pumps are fully interchangeable and compatible with equipment currently in use at construction sites, wastewater treatment facilities and other fluid removal or processing operations. Our dewatering pump is a submersible water pump that is self-priming and can efficiently process solid laden and clean fluids. All of our pumps are designed to be fully compatible, low-cost alternative replacements for higher priced, name brand equipment from the world’s most reputable manufacturers. 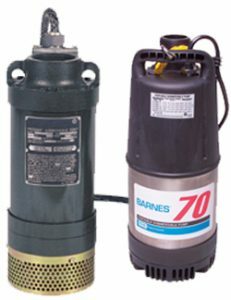 Despite being lower in price, our dewatering pumps and submersible water pump equipment will perform the same or better than other, higher priced equipment. In fact, Phantom Pumps equipment is designed, assembled, tested and manufactured in the United States to ensure the highest industry standards are met. Organizations and fluid processing facilities typically report reductions in their quarterly and annual pump related costs after partnering with Phantom Pumps. Our pumps are self-priming, so they do not need to be re-primed after an initial prime is complete. Better yet, they require little maintenance since the pumps have fewer components, which typically reduces labor costs, as well. The pump specialists in our parts department can cross-reference the brand name parts currently in use at facilities in Arkansas, Maine, Michigan, Tennessee, Texas and beyond and make recommendations on fully compatible replacement parts. To keep operation downtime to a minimum, we quickly and efficiently ship pumps and parts to processing facilities throughout the United States. Contact one our friendly and courteous associates today for pump selection assistance and/or technical data on our dewatering pumps.